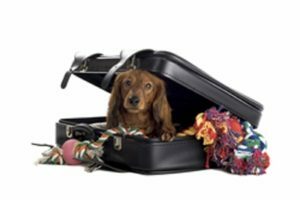 Travelers planning last-minute summer trips can book hotel stays and plane tickets in a snap thanks to sites like Expedia and booking apps such as HotelTonight, but for pet owners, there is one important item on the checklist that can take some time: securing reliable pet care. Pet Sitters International (PSI), the world’s largest educational association for professional pet sitters, offers pet owners this word of advice: While vacations can be booked with one click, finding a quality pet-care option isn’t as simple as hiring anyone who has a profile on an online directory and claims to be a pet lover. PSI encourages pet owners to only use the services of professional pet sitters for their pet-care needs this summer and throughout the year. PSI advises pet owners to take a closer look to ensure they are hiring not just a pet lover, but a pet lover who is also a true pet-care professional. To simplify the selection process, PSI offers a free pet-sitter interview checklist and encourages pet owners to visit its Pet Sitter Locator, the largest online directory of professional pet sitters. Is the pet sitter a Certified Professional Pet Sitter (CPPS™) and/or has he or she participated in pet-care training, such as pet first aid? PSI’s 2016 Pet Sitter of the Year Carrie Feinberg, owner of Safe Haven Advocate Pet Care & Photography in Elgin, Illinois, encourages pet owners to book as early as possible. “I am always recommending that clients schedule as far in advance as possible due to our high demand during not only the summer months and holidays, but also in September and October,” Feinberg said.